Faced with increasing complexity in the global economy, a timely and accurate operation of the market demands an accelerated harmonization of customer and manufacturer perspective in the quotation phase through product configuration systems. 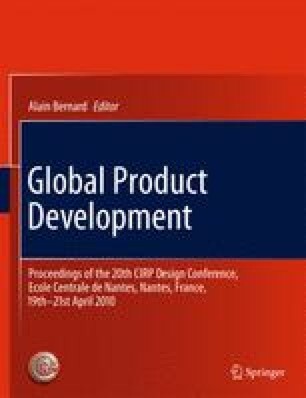 An approach for knowledge-based product configuration through the integration of experience and knowledge from the product use phase is presented below. The goal of this approach is to enable a faster and software-controlled harmonization of the different customer’s and the manufacturer’s points of view during the pre-contract phase. Therefore a case-based reasoning method was developed to be integrated in a rule-based product configuration system. It allows a faster ascertainment of customer needs and thereby provides accurate and complete configuration of the provided products. This work has been supported by the integrated research project DIALOG in the topic “Management and Virtualization of Product Development” funded by the German government (BMBF).